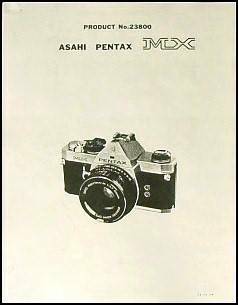 AVAILABLE: Your choice of service manuals, etc for Pentax Cameras. $3 each. 5/ Illustrated instructions for replacement of light seals in the Pentax Spotmatic. 6/ Illustrated instructions for replacement of light seals in the Pentax M-Series Cameras (MX ME MG MV etc). 7/ Illustrated solutions for replacement of Mercury battery in Spotmatic cameras (SP,SPII). Buy any number you wish. Pay with Paypal and I will email them to you as PDF or Word documents.